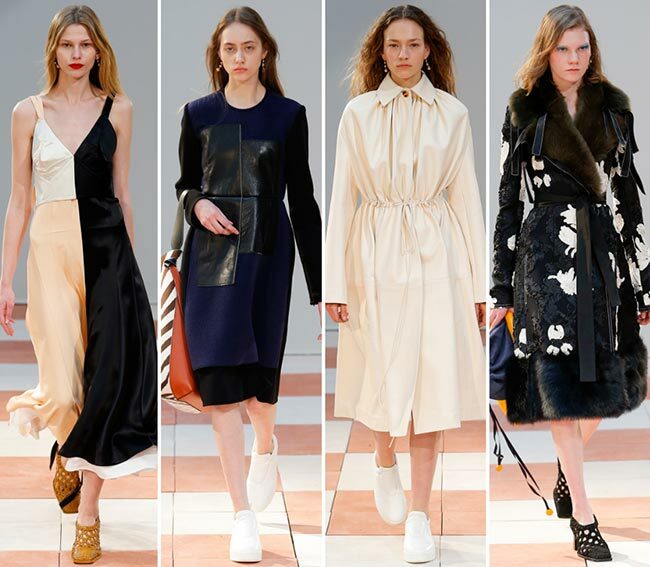 The pink and white tile flooring of the catwalk used to showcase the Celine fall/winter 2015-2016 collection was quite fitting considering the whimsical pieces and the imaginative tailoring of the whole of the line-up. Here, the Celine woman is a gentle person, a being of grace and beauty, and one who apparently loves a good round of tennis considering the show was staged in the Paris Tennis Club where the flooring had been changed. 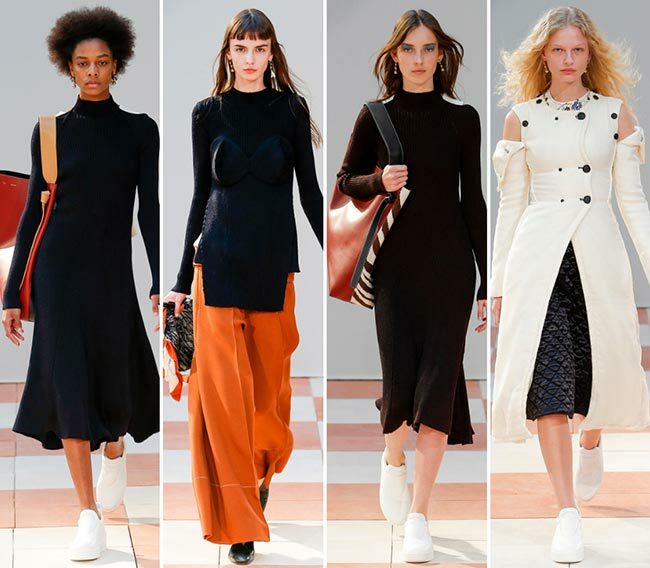 Phoebe Philo has a tendency to give us ladies exactly what we want, if not what we need time and again and the comfortable sneakers, practical bags, fun animal prints and flirty designs are definitely a small batch of exactly that. 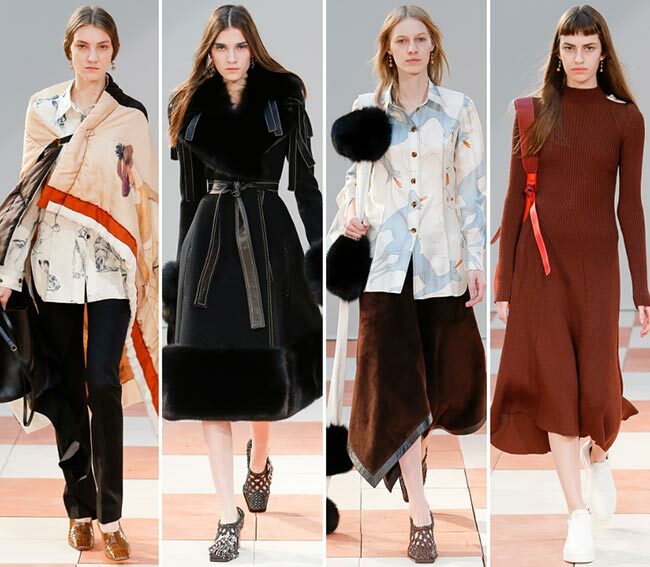 Speaking of which, the show opened with the lovely Frederikke Sofie Falbe-Hansen and her long frizzy blonde hair that makes many a girl envious for its perfect volume and windswept look, having donned an outfit that included a tight black sweater with a round neck and bell cuffs, tucked into a floral textured skirt, those coveted sneakers on the feet as she sauntered through the winding line of the runway. It appears that gigantic totes are back in style, particularly in red, orange and black coloring. Then again, you can switch the tote with a cross body harness with small pockets when you decide to travel in style while still staying safe and organized. 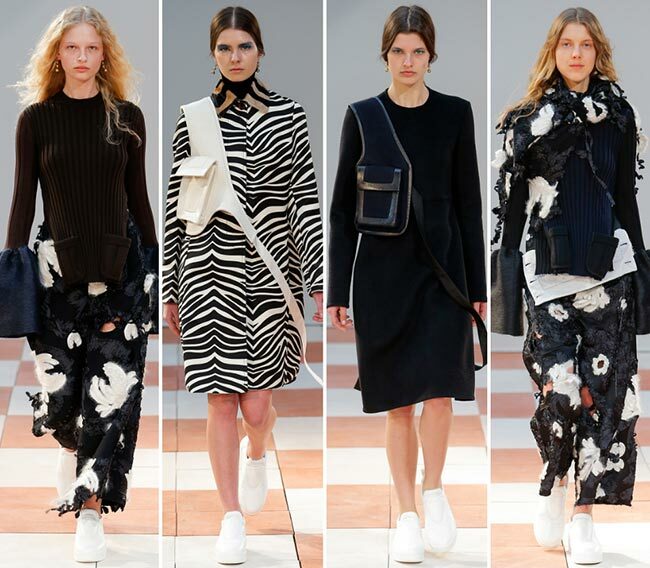 As for the animal prints, we particularly loved the smatterings of zebra-striped looks, from totes to coats. We also had actual animals appearing on the garments themselves, including the prints of deer and foxes and even some ferrets, taking over button down shirts. Those said shirts also saw the prints of ballerinas, looking great when paired with a leather midi skirt, a fur puff stole and simple leather shoes. The beauty looks that were seen on the runway ranged drastically, from those who had barely painted faces to one who sported red lips with bold teal eye shadow. The sneakers were contrasted with bejewelled shoes, though we definitely prefer the more comfortable footwear to these funky designs with their chunky bodies any day. Furthermore, if you had any doubt about the best way to accessorize your Celine look, Philo has given us something soft and furry, the giant fur puffs making up the body of a stole thrown over the shoulders. 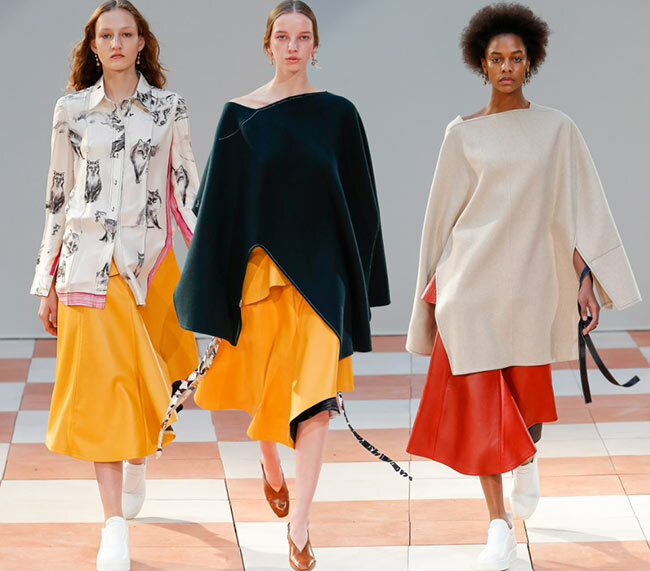 It may seem extra, but it is quite pretty overall and matches with the whimsical aura that the whole Celine fall/winter 2015-2016 collection seems to be exuding. One of the best pieces of the whole collection was a coat in black with white stitching on the fringes around the shoulders, as well as on the tied belt, while the cuffs, hem and lapels were taken over by fur. The makeup was focused on the eyes, the hair pin straight and falling from a center part, the ears accessorised with dangling pieces and the feet clad in bejewelled shoes that did not detract from the beauty of the coat. 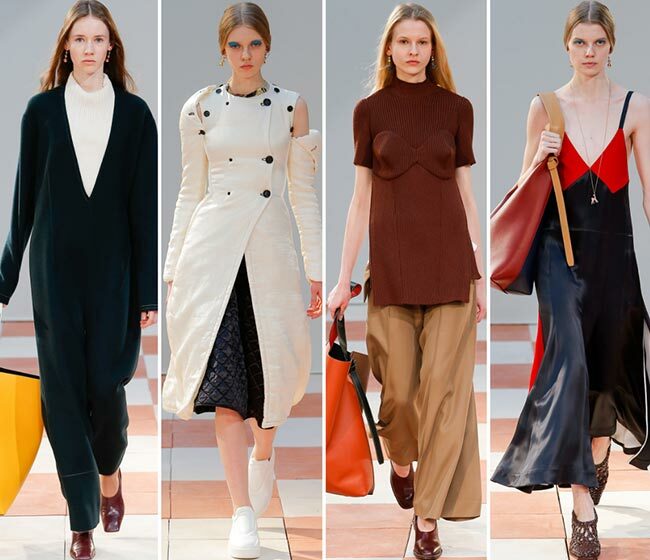 The Celine brand may not be the best-known French ready-to-wear and leather goods luxury fashion house, but it is pretty high up there, particularly since it is owned by the LVMH group since 1996. It has certainly come a long way since its inception in 1945 by Celine Vipiana. 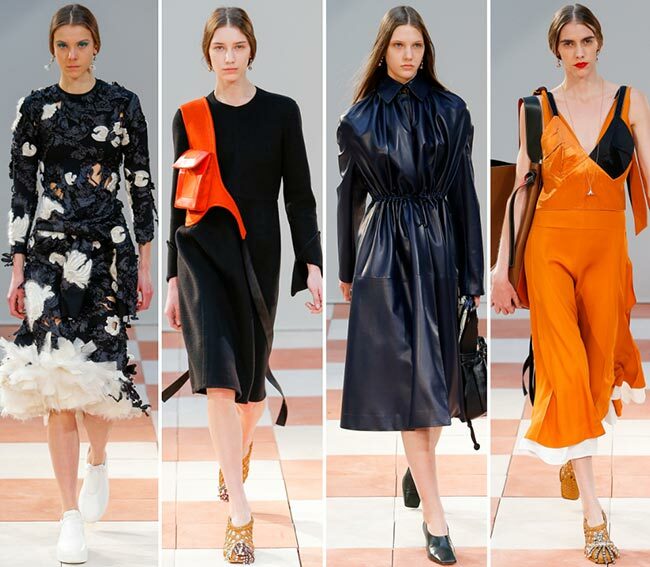 The whimsical femininity of it all shows through quite nicely and we dare say that Vipiana would have been proud.